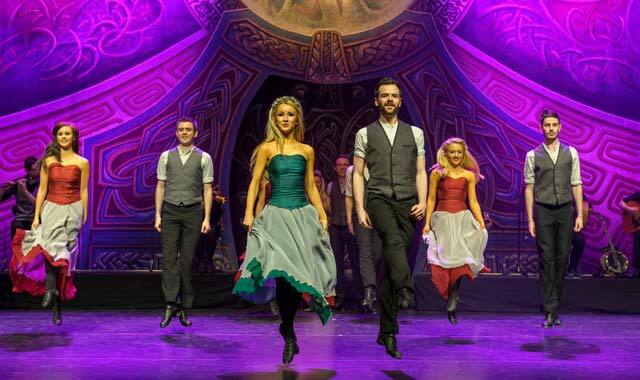 Join a live band, multiple singers and 22 dancers for a journey through the history of the Irish Celts at Batavia Fine Arts Centre, in Batavia, on March 9. Jan. 11, 8 p.m. Stand-up comedian Miller entertains with his assessments of current events, laced with pop culture references. Arcada Theatre, 105 E. Main St., St. Charles, (630) 962-7000, arcadalive.com. Jan. 12-Feb. 4, Fri.-Sat. 8 p.m., Sun. 3 p.m. In its Midwest premiere, this play pulls back the veil on the world of high finance and equity traders, through the anatomy of a deal that will change people’s lives. Steel Beam Theatre, 111 S. Main St., St. Charles, (630) 587-8521, steelbeamtheatre.com. Jan. 13, 8 p.m. American blues, gospel and rock singer, songwriter and guitarist with five albums on the Top 50. At 36 years old, Lang has 20 years of musical success behind him. Arcada, St. Charles, (630) 587-8400, arcadalive.com. Jan. 13, 8 p.m. A retrospective about the golden age of rock ‘n’ roll, featuring Lance Lapinsky of Chicago’s “Million Dollar Quartet.” The band explores the melting pot of styles that created pop’s most innovative decade. Pheasant Run Resort & Spa, 4051 E. Main St., St. Charles, (630) 584-6342, pheasantrun.com. Jan. 14, 3 p.m. The Midwest premier of a two-person play based on Willa Cather’s coming-of-age classic “Lucy Gayheart,” a story of love and loss, incorporating songs of Schubert. Norris Cultural Arts Center, 1040 Dunham Road, St. Charles, (630) 584-7200, norrisculturalarts.com. Jan. 14, 3 p.m. Featuring singer, pianist and guitarist Elisabeth von Trapp, granddaughter of Maria and Baron von Trapp, this musical overview showcases fresh arrangements of songs from Broadway shows such as “South Pacific,” and “The Sound of Music.” Metropolis Performing Arts Center, 111 W. Campbell St., Arlington Heights, (847) 577-2121, metropolisarts.com. Jan. 17, 7 p.m. Based on the sights, sounds and movements of downtown Chicago, Step Afrika’s programs introduce young people of all backgrounds to the art form of stepping, an exciting contemporary African-American dance genre. Raue Center for The Arts, 26 N. Williams St., Crystal Lake, (815) 356-9212, rauecenter.org. Jan. 18, Feb. 15 & March 15, 8 p.m. An evening of sketch and improv comedy. Raue Center Café, Crystal Lake, (815) 356-9212, rauecenter.org. Jan. 19, 6 p.m. It’s the late 1930s and auditions are being held for a big motion picture. With stars vying for the role of a lifetime, things take a dark turn. Not all dinner parties offer the chance to help solve a murder. Metropolis, Arlington Heights, (847) 577-2121, metropolisarts.com. Jan. 19, 7:30 p.m. Four internationally acclaimed mentalists demonstrate the power of the mind via telekinesis, hypnosis, mind reading and predictions. Batavia Fine Arts Centre, 1401 W. Wilson St., Batavia, (630) 937-8930, bataviafineartscentre.org. Jan. 20, 3 & 8 p.m. Ventriloquist Fator and his puppet pals treat their audiences to comedy, singing and celebrity impressions. Paramount Theatre, 23 E. Galena Blvd., Aurora, (630) 896-6666, paramountaurora.com. Jan. 20, 7:30 p.m. Morning drive host on WGN radio covers the day’s headlines with an analytical eye and his characteristic comedic slant. Metropolis, Arlington Heights, (847) 577-2121, metropolisarts.com. Jan. 21, 2:30 p.m. Kicking off the season with a Musical Celebration of Science, Jim Jenkins creates a multimedia installation set to the music of Olivier Messiaen’s “Quartet for the End of Time,” performed by musicians on piano, violin, clarinet and cello. Fermilab, Kirk Road & Pine Street, Batavia, (630) 840-2787, fnal.gov/culture. Jan. 22, Feb. 26, March 26, 8 p.m. Egan Click, the Raue’s Center 27-year old Poet-in-Residence, hosts participants as they read, rhyme, sing, speak and perform their work. Raue Center Cafe, Crystal Lake, (815) 356-9212, rauecenter.org. Jan. 26, 6-10 p.m. Each month brings a freshly juried mixed-medium art exhibit, photo contest and solo show from a featured artist, four stages of live music, open artist studios, cash bars, appetizer tables, People’s Choice voting and more. Starline Factory, 300 W. Front St., Harvard, (815) 347-8535, nancymerkling.com. Jan. 26, 7:30 p.m. The Chicago Bar Association presents its annual show, an irreverent musical comedy revue parodying local and national political, sports and showbiz figures. Metropolis, Arlington Heights, (847) 577-2121, metropolisarts.com. Jan. 27-28, Sat. 7:30 p.m., Sun. 2:30 p.m. Enjoy classic movie scores from “E.T.,” “Jaws,” “Close Encounters” and more, conducted by ESO Music Director Andrew Grams. Hemmens Cultural Center, 45 Symphony Way, Elgin, (847) 888-4000, elginsymphony.org. Jan. 27, 8 p.m. Three-time Emmy Award-winner Anderson has worked in TV and movies in addition to his live stand-up comedy shows. Raue Center, Crystal Lake, (815) 356-9212, rauecenter.org. Feb. 1-3, 7:30 p.m. A suburban estate is the setting for the audition for a new musical, which turns deadly, with plenty of confusing murders and knotty plots to unravel, in John Bishop’s comedic thriller. Batavia Fine Arts Centre, Batavia, (630) 937-8930, bataviafineartscentre.org. Feb. 1-March 17, see website for times. Set in 1960s Paris, this farce follows the escapades of bachelor Bernard who juggles spending time with three globe-hopping flight attendant fiancées. Metropolis, Arlington Heights, (847) 577-2121, metropolisarts.com. Feb. 3, 7 p.m. Featuring the DeKalb and Sycamore High School Jazz Ensembles, the NIU Jazz Orchestra and Jazz in Progress. Egyptian Theatre, 135 N. 2nd St., DeKalb, (815) 758-1215, egyptiantheatre.org. Feb. 3, 7 & 9 p.m. Chicago’s own sketch comedy group works with audience members to create on-the-spot scenes, songs and games. Early show family-friendly. Woodstock Opera House, 121 Van Buren St., Woodstock, (815) 338-5300, woodstockoperahouse.com. Feb. 6, 7:30 p.m. The 1926 classic staring Rudolph Valentino; accompanied by Arcada’s organ. Arcada Theatre, St. Charles, (630) 962-7000, arcadalive.com. Feb. 7, 8 p.m. The director and comedian entertains with mature humor. Rated R. Raue Center, Crystal Lake, (815) 356-9212, rauecenter.org. Feb. 7-March 18, Wed. 1:30 & 7 p.m., Th. 7 p.m., Fri. 8 p.m., Sat. 3 & 8 p.m., Sun. 1 p.m. Enter the decadent world of 1929 Berlin, where we meet cabaret singer Sally Bowles, Cliff Bradshaw and a host of colorful characters, as an ugly and dangerous threat looms on the horizon. Paramount, Aurora, (630) 896-6666, paramountaurora.com. Feb. 9, 7:30 p.m. Join the DSO for a behind-the-scenes glimpse of the dress rehearsal for the upcoming performance on Feb. 10 concert. Watch the orchestra at work, then join Maestra Schubert and musicians for refreshments and conversation. Wentz Concert Hall, North Central College, 171 E. Chicago Ave., Naperville, (630) 778-1003, dupagesymphony.org. Feb. 9, 8 p.m. Performing spot-on renditions of their songs and sporting costumes representing every era of the Beatles, these lads make you think you are watching the real thing. Arcada Theatre, St. Charles, (630) 962-7000, arcadalive.com. Feb. 9-18, see website for times. A stuffy W.A.S.P. and a free-spirited woman develop a romantic friendship and correspond for almost 50 years. Raue Center, Crystal Lake, (815) 356-9212, rauecenter.org. Feb. 10-11, Sat. 7:30 p.m., Sun. 2:30 p.m. This program features the powerful pieces Vivaldi’s “Gloria” and Mozart’s “Requiem,” performed by the Elgin Master Chorale and special guest soloists. Hemmens, Elgin, (847) 888-4000, elginsymphony.org. Feb. 10, 8 p.m. Featuring Chicago’s acclaimed father and son violinist duo Stefan and Alexander Hersh playing Brahms and Thompson. Wentz Concert Hall, North Central College, Naperville, (630) 778-1003, dupagesymphony.org. Feb. 14 & 16, 8 p.m. Bring your Valentine to Dave Karl’s spot-on performance, from the early days to the current sounds of Rogers. Pheasant Run, St. Charles, (630) 584-6342, pheasantrun.com. Feb. 16, 7:30 p.m. A three-man tribute to Michael Buble singing his swinging standards and pop hits in a high-energy concert. Batavia Fine Arts Centre, Batavia, (630) 937-8930, bataviafineartscentre.org. Feb. 17, 8 p.m. Comedian Rachel Bradley presents a high-energy show with edgy social commentaries and stories of growing up southern. Chicagoan Kevin Bozeman’s smooth style has served him well in many comedy competitions, including NBC’s “Last Comic Standing.” Raue Center, Crystal Lake, (815) 356-9212, rauecenter.org. Feb. 17, 8 p.m. Chicago’s folk legend entertains with material from her latest CD, “Seems Like Yesterday.” Woodstock Opera House, (815) 338-5300, woodstockoperahouse.com. Feb. 17, 8 p.m. Known for their “30 Songs in 30 Minutes” medley from the ‘70s and ‘80s, this band plays more than 250 shows a year. Pheasant Run, St. Charles, (630) 584-6342, pheasantrun.com. Feb. 23, 6-10 p.m. Featuring artist Ron Seymour and bands Bad Penny, Trinadora and Tiny Country. Starline Factory, Harvard, (815) 347-8535, nancymerkling.com. Feb. 23, 8 p.m. The troupe presents award-winning acrobatics, traditional dance, spectacular costumes and contemporary musical and theatrical techniques. Woodstock Opera House, (815) 338-5300, woodstockoperahouse.com. Feb. 23-March 18, Fri.-Sat. 8 p.m., Sun. 3 p.m. Three sisters take steps to reconnect, grieve and reframe their past and future in this comedy, winner of the Gilmore Creek Play Competition. Steel Beam Theatre, St. Charles, (630) 587-8521, steelbeamtheatre.com. Feb. 25, 3 p.m. & 4:30 p.m. Soprano Solange Sior and tenor Franco Martorana, accompanied by pianist Chiay Lee, perform love duets from Broadway to the opera. Norris Center, St. Charles, (630) 584-7200, norrisculturalarts.com. Feb. 25, 7 p.m. Six Broadway superstars from shows such as “Les Misérables,” “Phantom of the Opera,” “Wicked” and “Jersey Boys” perform classic moments from these blockbusters. Prairie Center for the Arts, 201 Schaumburg Court, Schaumburg, (847) 895-3600, prairiecenter.org. Feb. 28, 7:30 p.m. Chicago Dreamgirl Donica Lynn pays homage to the Queen of Soul, with signature songs such as “Respect,” “Think” and “(You Make Me Feel Like) A Natural Woman.” Metropolis, Arlington Heights, (847) 577-2121, metropolisarts.com. March 2-17, see website for times. Based on Hans Christian Anderson’s story and the animated Disney film. TownSquare Players, Woodstock Opera House, (815) 338-5300, woodstockoperahouse.com. March 2, 5-8 p.m. This month’s art show features Studio of McHenry, Immanuel Lutheran Creative Arts and partner artists. Lakeside Legacy Arts Park, Crystal Lake, (815) 455-8000, lakesideartspark.org. March 2-18, Fri.-Sat. 8 p.m., Sat.-Sun. 2 p.m. Stage musical based on the 1989 Disney film inspired by the Hans Christian Andersen tale. Steel Beam Theatre, St. Charles, (630) 587-8521, steelbeamtheatre.com. March 3, 7 p.m. Join an imaginative and unique theatrical experience as the group re-creates the orchestrated sound of an entire musical production using solely the human voice. Raue Center, Crystal Lake, (815) 356-9212, rauecenter.org. March 3-4, Sat. 7:30 p.m., Sun. 2:30 p.m. Chicago-area guest conductor Edwin Outwater conducts as William Wolfram performs Beethoven’s “Piano Concerto No. 3” and Shostakovich’s “Symphony No. 12.” Hemmens, Elgin, (847) 888-4000, elginsymphony.org. March 3, 8 p.m. Grab some popcorn and settle in to watch Lon Chaney in the 1920s story of a deformed criminal mastermind who plans to loot San Francisco and avenge himself on the doctor who mistakenly amputated his legs; accompanied by the Arcada pipe organ. Arcada Theatre, St. Charles, (630) 962-7000, arcadalive.com. March 4, 7 p.m. Musical comedy and a smorgasbord of songs ranging from gospel and country to Broadway, pop and classical. Prairie Center for the Arts, Schaumburg, (847) 895-3600, prairiecenter.org. March 7, 8 p.m. Felix and Fingers brings together music and comedy as the audience requests favorite songs, from John Lennon to John Legend, the Beach Boys to Beastie Boys. Raue Center, Crystal Lake, (815) 356-9212, rauecenter.org. March 8, 7:30 p.m. Raucous blues mixes with R&B in hits like “I Don’t Want to Go Home” and “Love on the Wrong Side of Town.” Arcada Theatre, St. Charles, (630) 962-7000, arcadalive.com. March 9, 7:30 p.m. A live band, three tenors and 22 dancers put on a show that relives the journey of Irish Celts throughout history. Batavia Fine Arts Centre, Batavia, (630) 937-8930, bataviafineartscentre.org. March 10, 7:30 p.m. Chicago’s award-winning Angela Ingersoll captures the power and presence of Judy Garland, with favorites including “Over the Rainbow.” Prairie Center for the Arts, Schaumburg, (847) 895-3600, prairiecenter.org. March 10, 8 p.m. You’ll feel as though you’re in a Dublin pub as Irish and Irish-American comedians entertain with hilarious stories. Raue Center, Crystal Lake, (815) 356-9212, rauecenter.org. March 11, 5 p.m. The English rock band entertains with hits such as “Easy Livin,” “Stealin,” and “July Morning.” Arcada Theatre, St. Charles, (630) 962-7000, arcadalive.com. March 17, 7:30 p.m. The music of Brian FitzGerald and Martin McCormack draws on traditional Celtic music and original Americana songs. Prairie Center for the Arts, Schaumburg, (847) 895-3600, prairiecenter.org. March 17, 8 p.m. Former members of Dio, featuring Vivian Campbell from Def Leppard and Vinnie Appice of Black Sabbath. Arcada Theatre, St. Charles, (630) 962-7000, arcadalive.com. March 23, 6-10 p.m. Karen Sako is the featured solo artist; music by The Shufflers, Dave Dalton, Potts & Pans and Andrew Huber. Starline Factory, Harvard, (815) 347-8535, nancymerkling.com. March 23, 7:30 p.m. Featuring Jim Peterik, the group entertains with hits spanning three decades, such as “Vehicle,” and “Hold on Loosely.” Metropolis, Arlington Heights, (847) 577-2121, metropolisarts.com. March 23, 8 p.m. The CCR tribute band rocks hit after hit. Woodstock Opera House, (815) 338-5300, woodstockoperahouse.com. March 23, 8 p.m. Explore what makes a great piece of music, using excerpts of Elgar’s “Enigma Variations” performed by the orchestra; the orchestra then plays the entire work. Hemmens, Elgin, (847) 888-4000, elginsymphony.org. March 24, 3 & 8 p.m. Join the leading cast of “Jersey Boys” for a blast from the past, with doo-wop, Motown and old-fashioned rock and roll. Paramount, Aurora, (630) 896-6666, paramountaurora.com. This entry was posted on Tuesday, January 9th, 2018 at 11:59 am	and is filed under Arts & Entertainment. You can follow any responses to this entry through the RSS 2.0 feed. Both comments and pings are currently closed.